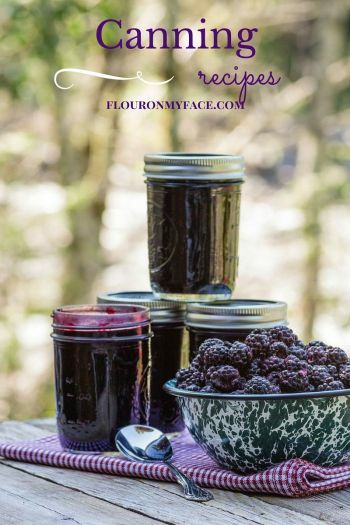 Tiss the season to be jolly and if you are planning a Christmas Cookie Exchange then you might want to make up some little inexpensive Christmas Cookie Exchange gifts to give to all your cookie exchange guests. 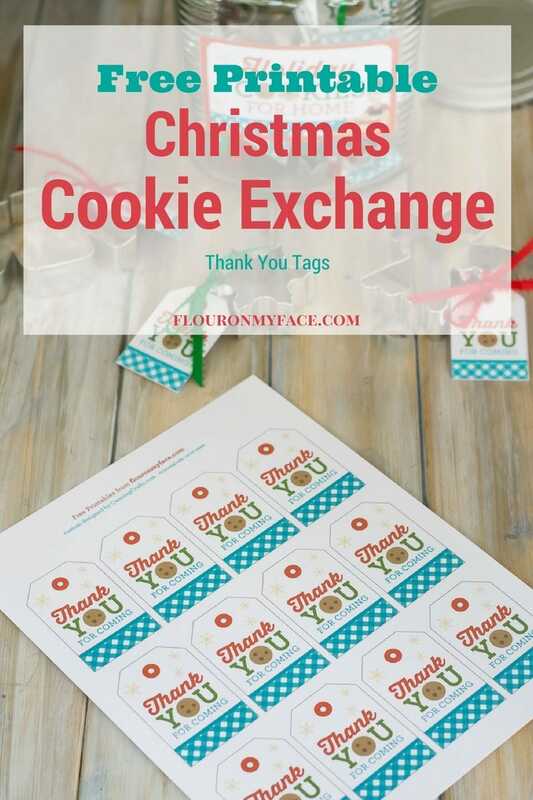 If you do then you will need these free Printable Christmas Cookie Exchange Thank You Gift Tags. Hosting a Christmas Cookie Exchange can be so much fun. 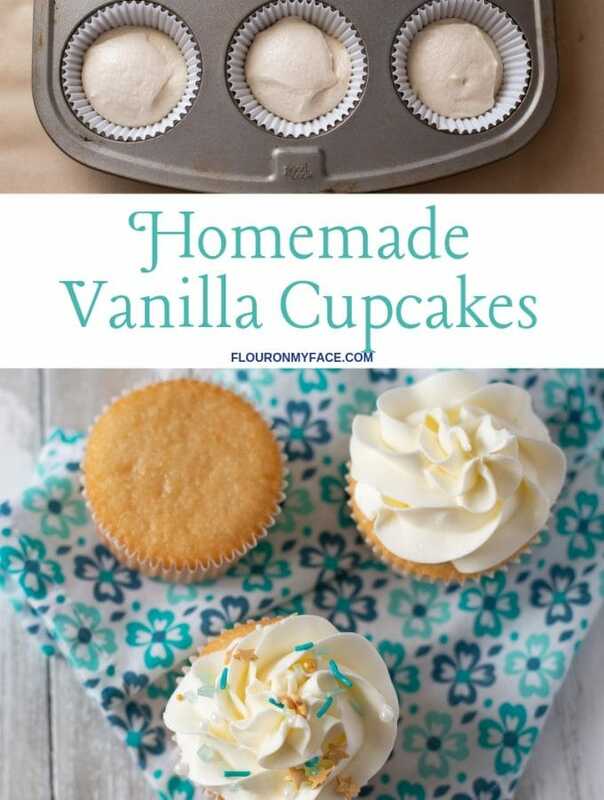 Part of the fun is baking and swapping all those Christmas Cookies with your besties and family members. My favorite fun part other is decorating my home and getting ready to host a Christmas Cookie Exchange. 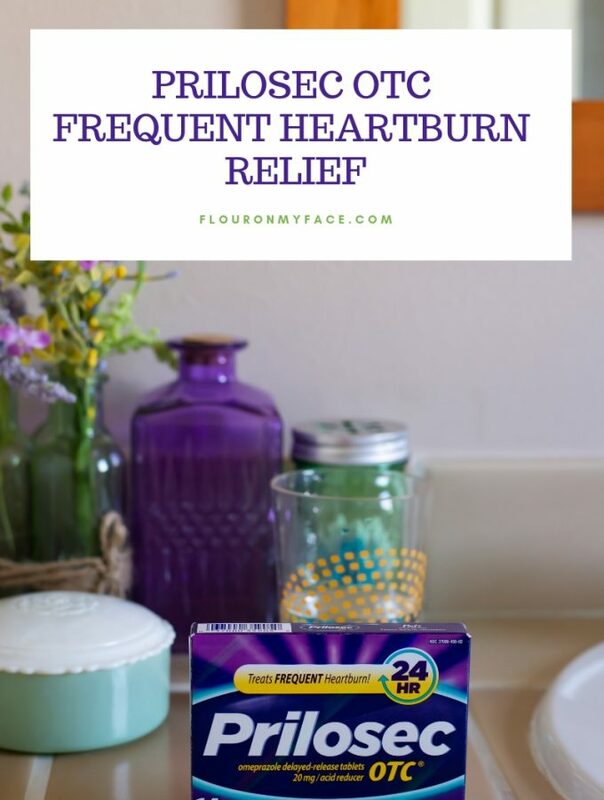 Some of the links below are Amazon affiliate links. 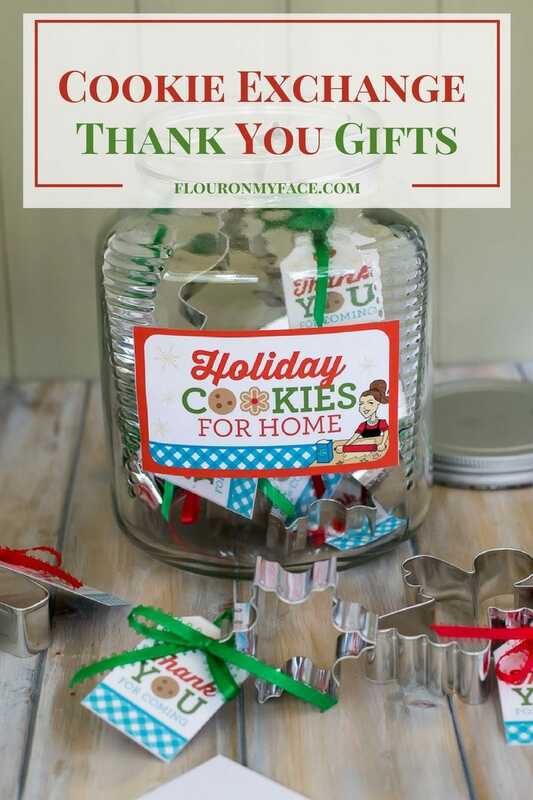 These Christmas Cookie Exchange Thank You Gift Tags are perfect to hang off a cookie exchange thank you gift. 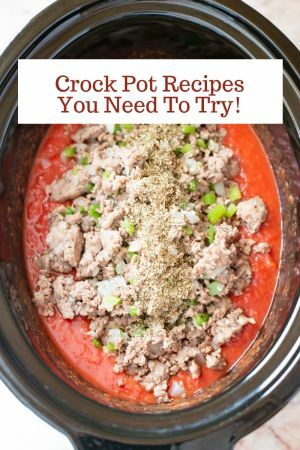 They can also be used to hang off any holiday gift you are giving to your friends and family when they come to one of your holiday events or parties. 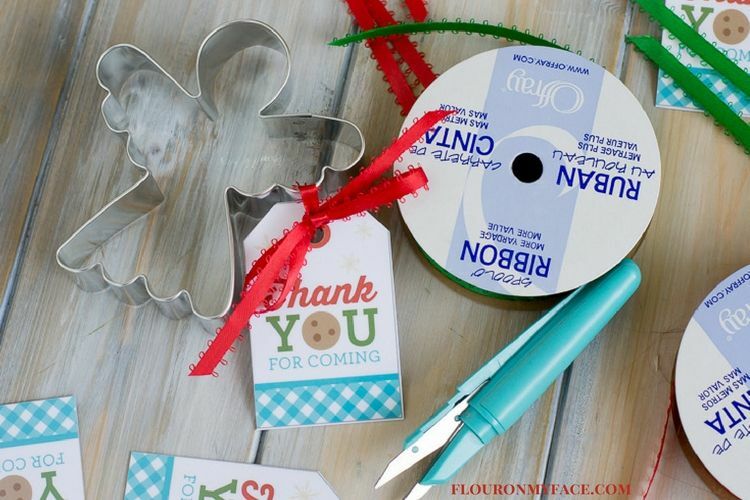 I made these easy cookie cutters thank you gifts for my cookie exchange. 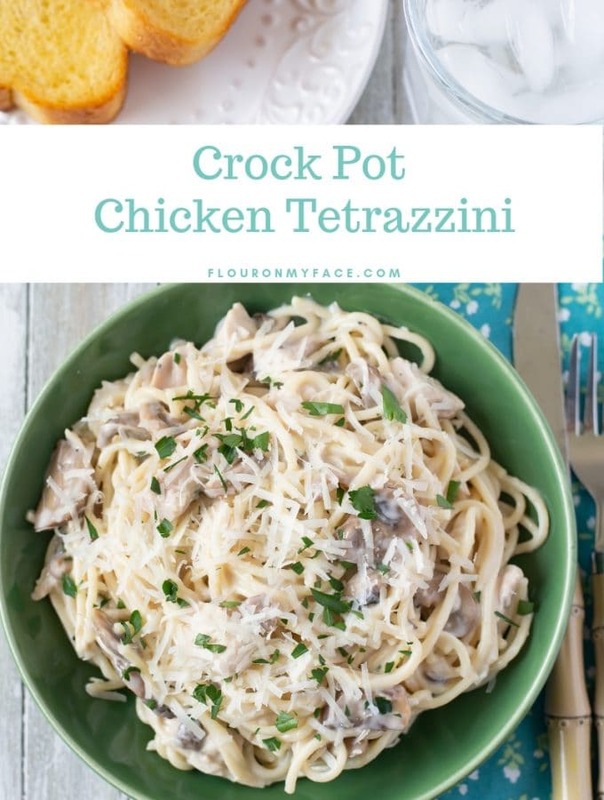 They were a big hit with my guests. Print the Christmas Cookie Exchange Thank You Gift Tags with a color inkjet printer set to the highest quality setting. Laminate each sheet of tags to make them more durable if desired. Cut each gift tag out. Punch a hole at the top of the tag. String a piece of ribbon through the hole. 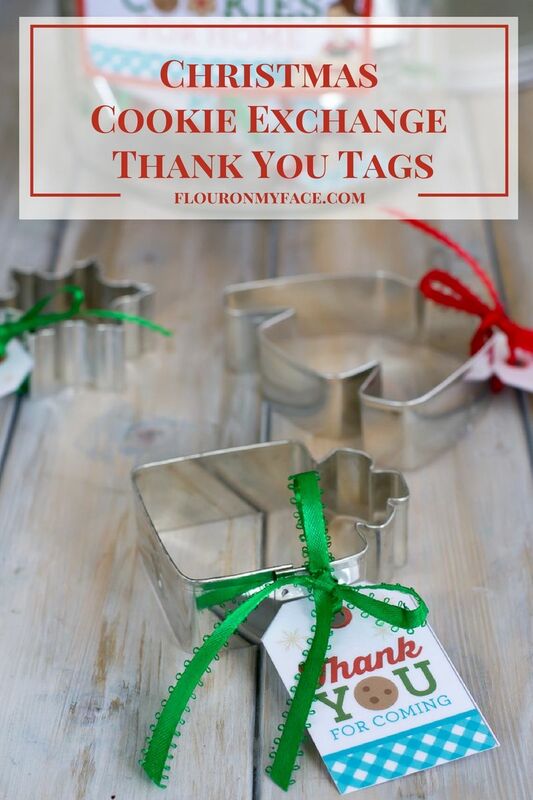 Tie the tag onto each cookie cutter. Check out my How To Host a Cookie Exchange Post for some tips on planning your Christmas Cookie Exchange. 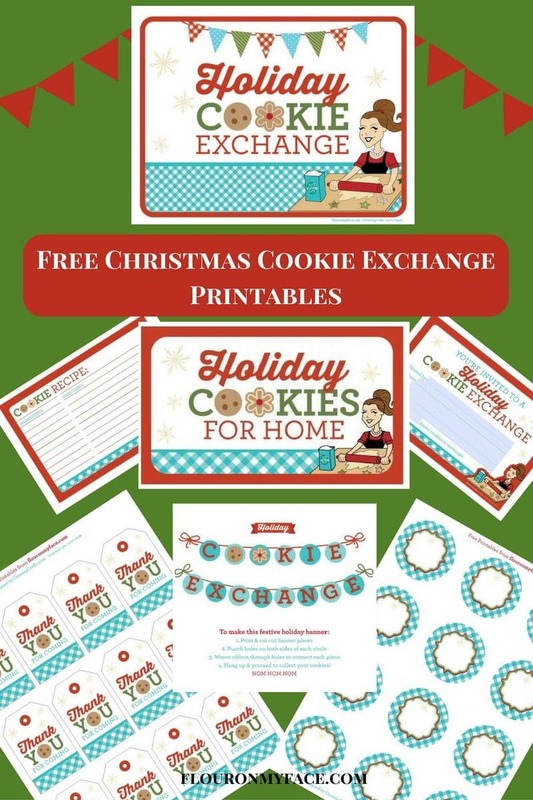 Download the custom designed Free Holiday Cookie Exchange Printables Pack ! 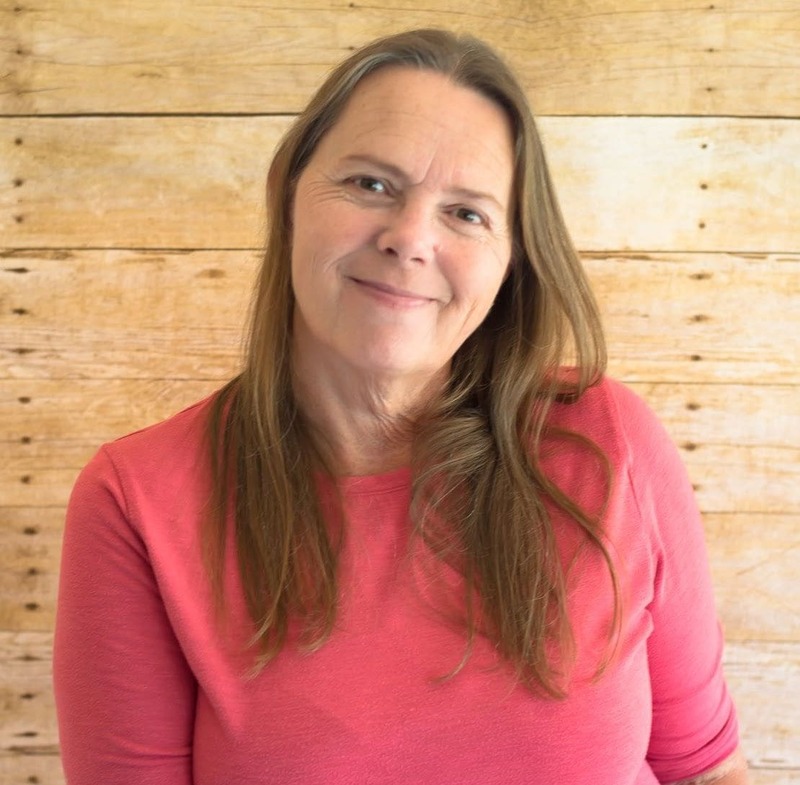 Be sure and sign up for my newsletter so you get an email each time a share another fun tip or way to use the FREE Christmas Cookie Exchange Printable Pack. Check out these Christmas Recipes perfect for your Christmas Cookie Exchange. 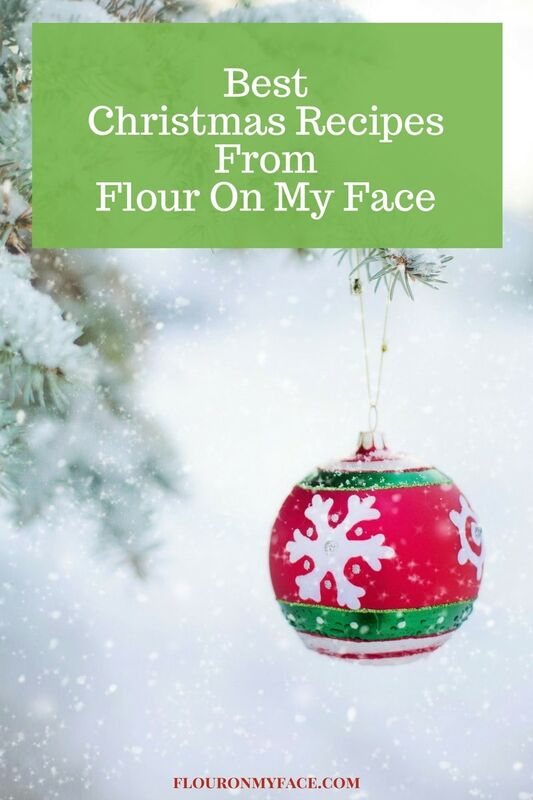 Buy my 25 Homemade Holidays Treats & Sweets eBook to help you with all of your homemade holiday gift needs including recipes perfect for your Christmas Cookie Exchange. Looking for Easy Christmas Cookies for a Cookie Exchange? You can find my Christmas Cookie recipes on my Christmas Recipes page.